Sony reported a 6% year-on-year increase in sales for the quarter ending September 30th to 2.18 trillion Japanese yen (19.6 billion US dollars). 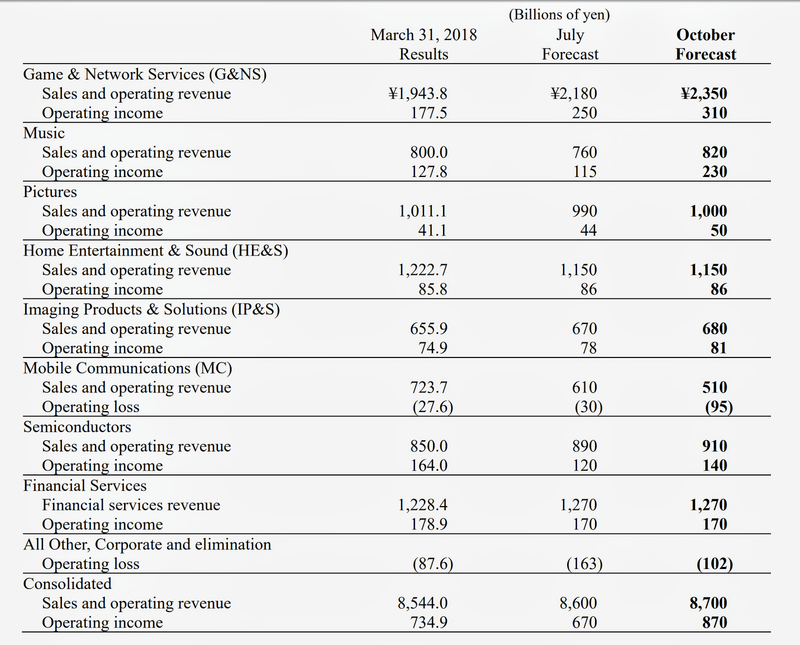 The growth was driven by a 27% rise in revenues from games and network services (the PlayStation business) to 550 billion yen. Amazon reported a 30% year-on-year increase in net sales to 56.6 billion US dollars in the third quarter, on a constant currency basis. 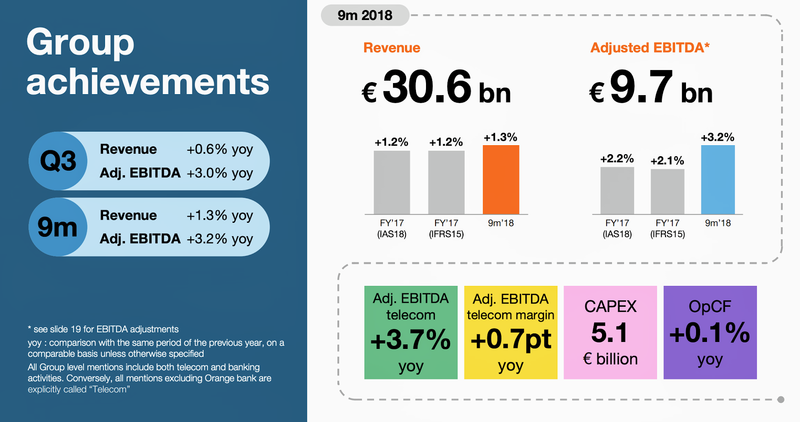 It forecast net sales will be between 66.5 billion and 72.5 billion dollars in the current quarter, representing an increase of between 10% and 20% compared with fourth quarter 2017. This guidance anticipates an unfavourable impact of approximately 80 basis points from foreign exchange rates. In the third quarter of 2018, there was a marked slowdown in Amazon's international business, where sales grew just 13% compared with 29% a year ago. Sales at AWS were up 46%, compared with 42% a year ago, while sales growth in North America was 35% - the same as in the third quarter of 2017. Brian T. Olsavsky, CFO of Amazon.com, said: "We did the Souq acquisition last year in May. So the full pickup on that year-over-year was in 2017 and now we're lapping that. There's also material change in the Diwali calendar in India. About half of our Diwali sales last year were in Q3. This year they'll be fully in Q4. So those are a couple factors that hit the international growth area in particularly." 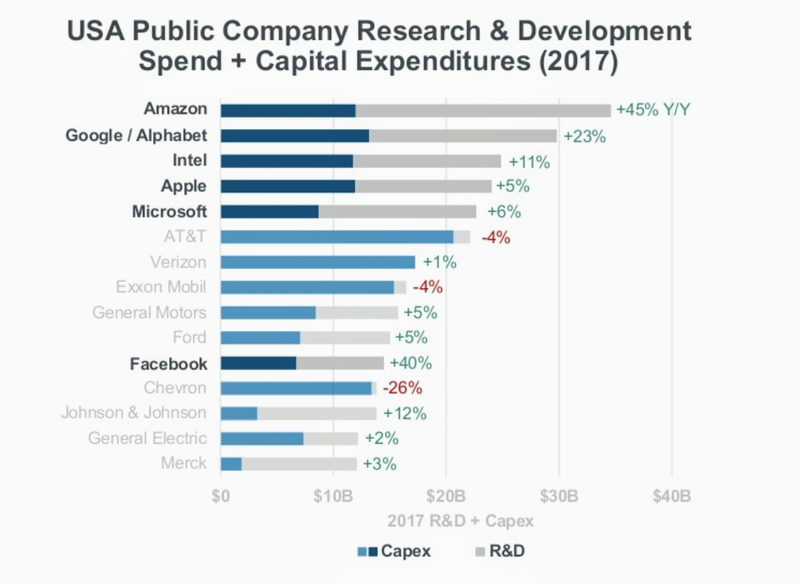 Alphabet reported a 22% year-on-year increase in revenues, on a constant currency basis, for the third quarter of 2017 to 33.7 billion US dollars. That represents a slight slowdown on the 23% increase in the second quarter. Although the number of paid clicks on adverts on Google properties rose 62% in the third quarter year-on-year, the average selling price was down 28%. Ruth Porat, CFO of Alphabet, said: "We continue to be pleased with the underlying momentum in our advertising businesses as we apply our strengths in machine learning to improve the experience for users and advertisers. As we noted, hardware was only a modest contributor in the third quarter as we launched a new Made by Google family of products for the fourth quarter holiday season." Stripping out the impact of an accounting change, AT&T reported a 17.5% increase in third quarter revenues to 46.6 billion US dollars. 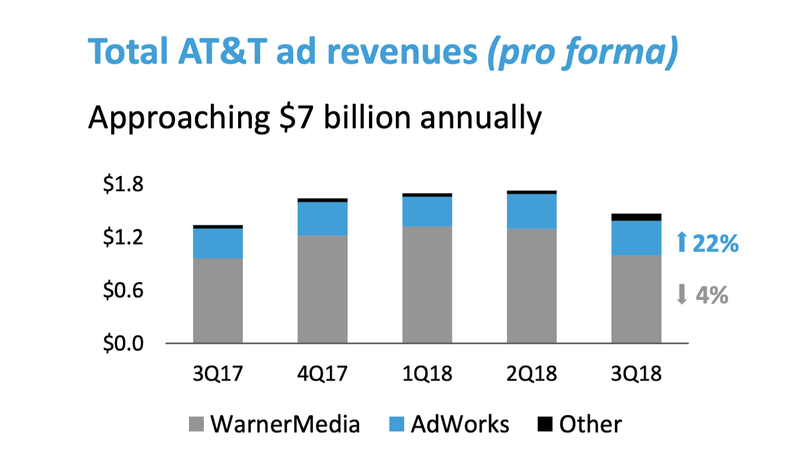 The increase was driven by the Time Warner acquisition. 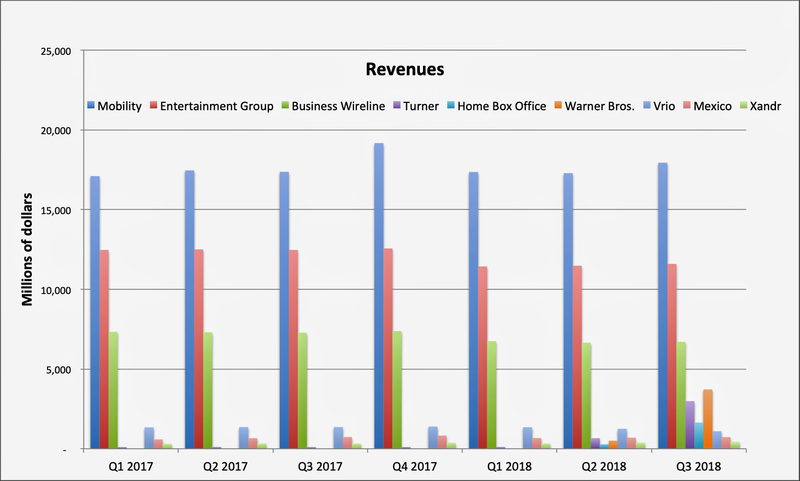 Revenue declines in domestic video, legacy wireline services and Vrio (its DirecTV business in Latin America) were offset by growth in wireless equipment and services, WarnerMedia and its advertising unit Xandr. Tesla reported a 129% year-on-year increase in revenues in the third quarter to 6.82 billion U.S. dollars, fuelled by a 158% rise in automotive revenues. Energy generation and storage revenue climbed 26%. 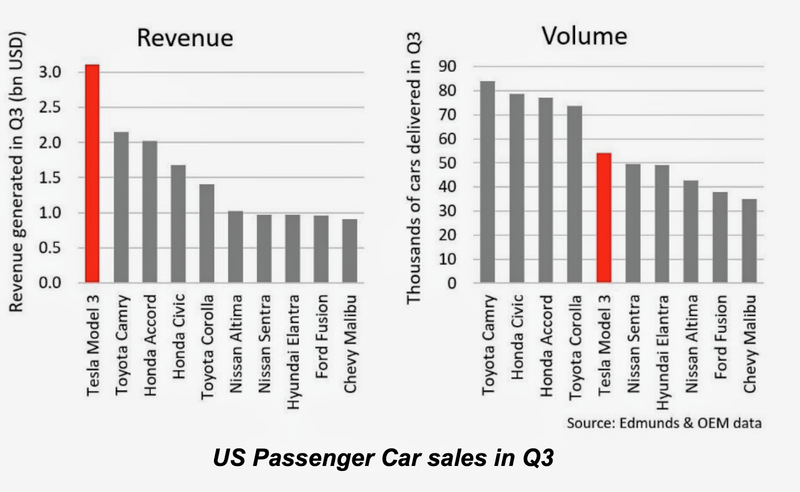 Tesla claimed its Model 3 was the best-selling car in the U.S. in terms of revenue (and the 5th best-selling car in terms of volume) in the third quarter, during which Tesla delivered 56,065 Model 3s to customers. Competing with Alphabet's Waymo and GM's Cruise in the race to develop self-driving cars, Tesla said: "Our Autopilot software is now much improved..... The main functionality we added to our early access users is “Navigate on Autopilot” where on most controlled-access roads, such as highways, any Tesla vehicle made from October 2016 with Enhanced Autopilot will be able to automatically change lanes with driver confirmation, transition from one freeway to another, and ultimately exit the freeway when approaching the final destination." Bolstered by strong wireless results, Verizon reported a 2.8% increase in revenues for the third quarter of 2018 to 32.6 billion US dollars. Excluding the impact of a new revenue recognition standard, revenues were up 2.6% year over year. Verizon Wireless reported a 6.1% increase in revenues to 23 billion US dollars, excluding the impact of the revenue recognition standard. 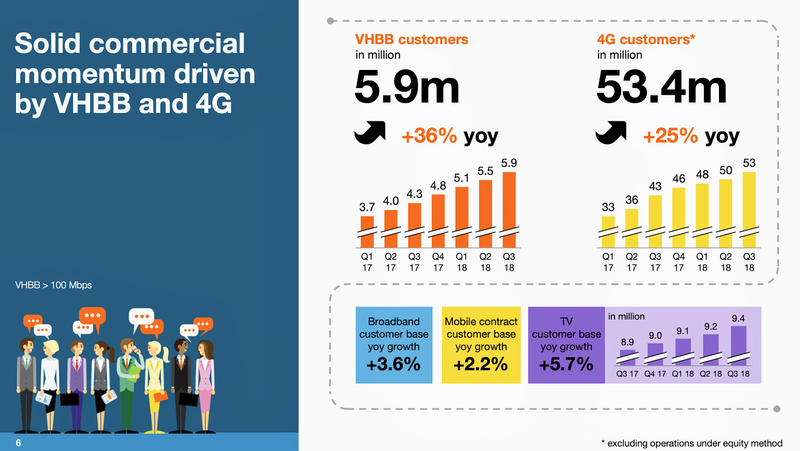 However, much of that increase was down to stronger equipment revenues, with service revenues up 2.6%, driven primarily "by customer step-ups to higher price plans and an increase in average connections per account." Moreover, Verizon’s media business, Oath, saw its revenue fall 6.9% year-on-year to 1.8 billion dollars. The company said Oath revenues will be relatively flat in the near term and it does not expect to meet its target of 10 billion dollars in Oath revenues by 2020. "We are seeing revenue pressure from search and desktop usage, which is more than offsetting positive growth in mobile usage and video products, including our distribution partnership with the NFL," the company added. 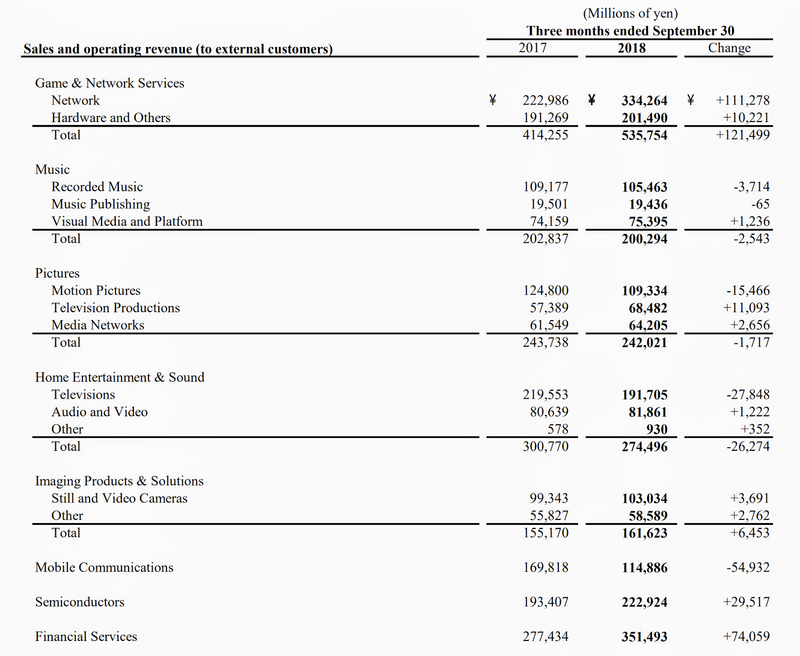 In the telematics business, total Verizon Connect revenues, excluding the impact of the revenue recognition standard, were 241 million dollars in the quarter. Internet of Things revenues, including Verizon Connect, increased approximately 12% year over year.